Several weeks ago I spoke to you all about Taste of the Nation, a Share Our Strength fundraiser, profits of which are put towards ending childhood hunger. 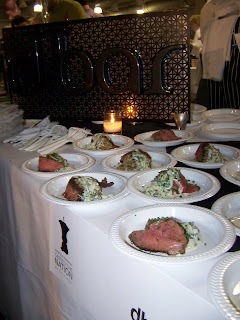 Last evening I attended this incredible event and was blown away by the hard work and dedication that was put into not only it's organization, but also by those fantastic locally based chefs and wine purveyors who were there to feed us and keep our whistles wet. Every direction you turned was filled with tasty morsels of food, running the gamut of savory to sweet, and wine's of every different variety. Shall we say it was a decadent evening? I took a few laps around the room before tasting anything to get acclimated- well and to enjoy the glass of Prosecco that was handed to me as I walked through the door. They certainly knew the way to my heart! My first bite that I finally selected- a lovely slice of hot dog slathered in a tasty mustard based sauce from Trina's Starlight Lounge. I missed a blogger event at Trina's a few weeks ago, and so I was excited to finally get a chance to check out their hot dogs. I am really excited to give Trina's a go now- Ill have to make it over to Inman Square soon- this was a perfect start to my evening! The next table I hit was for The Blue Frog Bakery, located in Jamaica Plain. 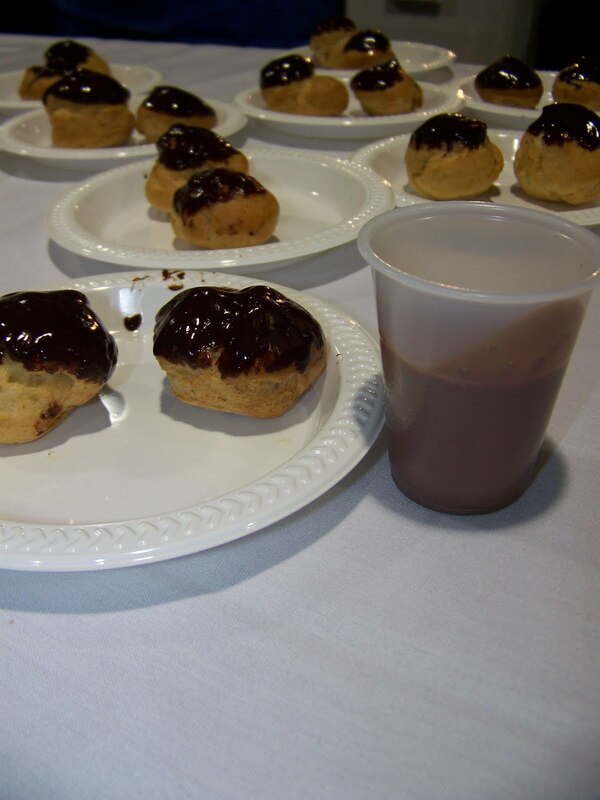 They were serving iced hot chocolate (whoa) and mini eclairs. That iced hot chocolate was so decadent, so chocolaty, for one of the first times in my life- I felt completely chocolate satisfied. If you know me- you know that's weird. Their eclairs were also delicious, however after the drink- well- I was good for a bit. I tend to forget to head over to JP for their amazing food locations- from now on The Blue Frog will have to be on my rotation. 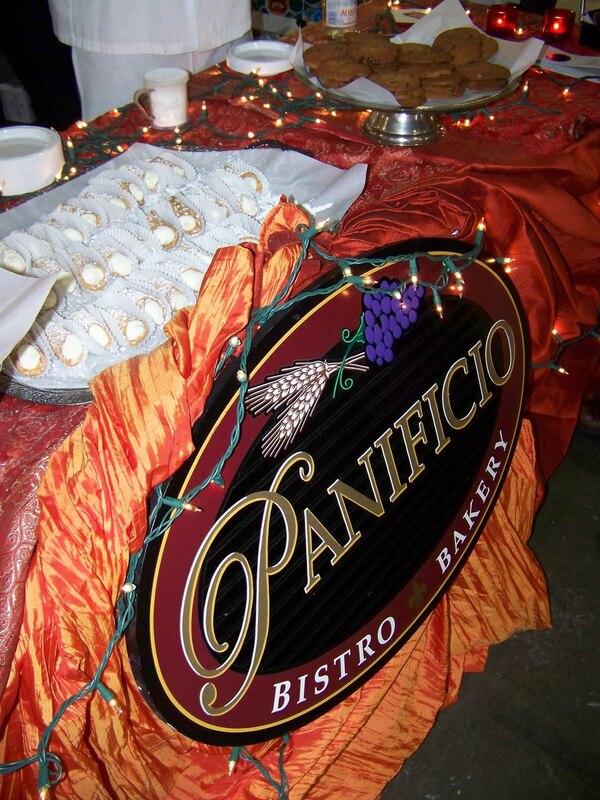 As I continued my journey I stumbled upon Panificio's table. Now-Panificio and I go way back. I often frequented this great little cafe when I lived in Beacon Hill, and I have to credit them with inducing the ridiculous obsession I have with Tomato Soup. One chilly winter day, John went to Panificio to get us some lunch-I knew I wanted half a sandwich (their tomato, basil & mozzarella is second only to my own- mmm) but I also wanted soup. I asked John to get whatever soup they had without even thinking about it. He came back with Tomato. Now- I have never like Tomato soup. I have always found it either too sweet, too salty or just bland. But since I wanted soup, and John and gone through the trouble of getting it- I gave it a taste. Immediate, ever lasting, glorious love is what I felt. Rich flavors of tomato, perfect tomato, and basil shown through. The texture made you know it was fresh and homemade. Wonderful. So when I saw Panificio at Taste of the Nation well- I gushed. I chatted to their poor chef for quite some time about how wonderful their soup is. He rewarded me with two canolli. I am not one to turn down gifts of food. Delicious canolli-I have a little relief that I wont be tempted by them daily, though my sadness remains for their tomato soup. As I continued my walk around I found this sign: Doesn't that just attract your attention? 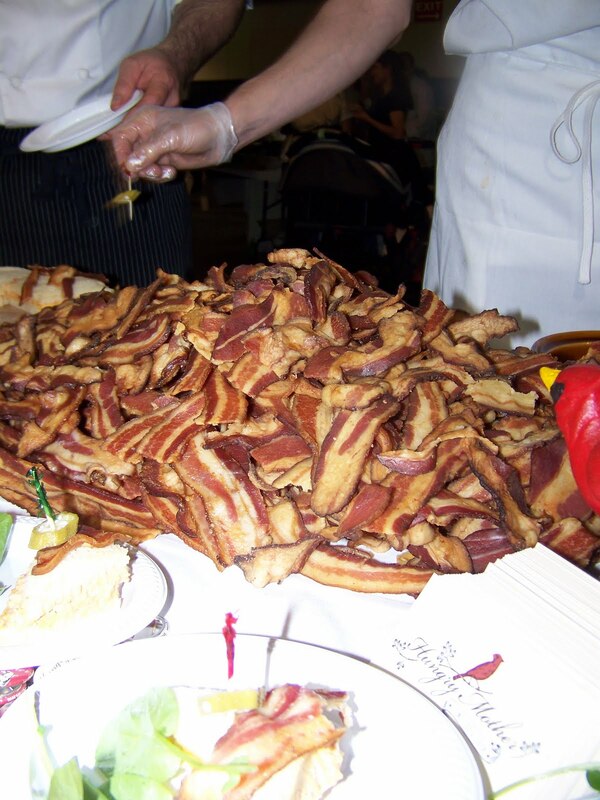 You see BACON some where- well-I know I'm immediately drawn to it. Turned out I was following the sign, not unlike the pied piper, to Hungry Mother table. The Hungry Mother is located in Kendall Square, Cambridge, and specializes in Southern Comfort food. 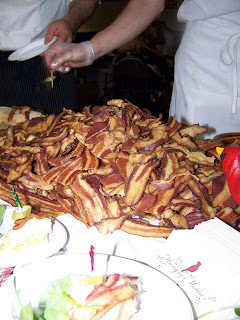 Yes- I find bacon comforting. Their offering for the evening was extensive- spicy pimento sandwiches topped with a healthy slap of bacon and a slice of okra, cookies, and sweet tea. I snagged a sandwich and nibbled as I walked away- what a tasty sandwich! 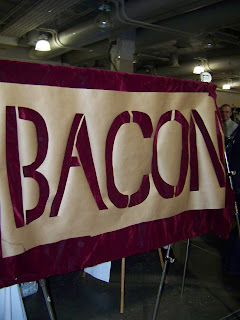 Such a simple concept but so well executed as the spice rang through without being overpowering, and then of course the bacon added delicious smokey-ness. Wonderful. It increased my need to visit The Hungry Mother even more. My next stop was to the Verrill Farm table. Verrill Farm is located in Concord, MA and specializes in beautiful rich vegetables, while following the guidelines for sustainable agriculture. 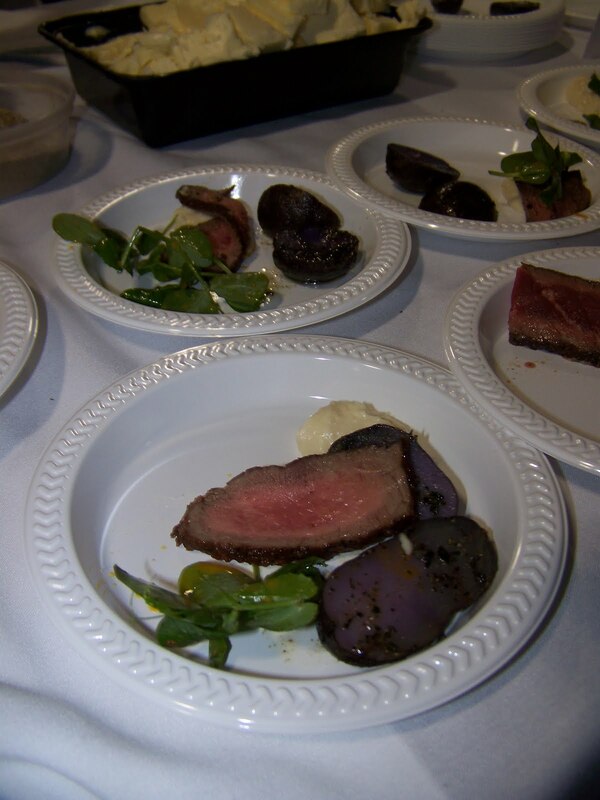 They were serving a gorgeous piece of steak with beautiful purple potatoes and spring greens last night. Such a tasty combination of flavors, and beautiful to look at as well. Verrill Farm supplies much of their produce to area restaurants, including many that were represented last night. Chances are that if you're chowing down on fresh vegetables, that are full of natural flavor, you are eating the bounty of Verrill Farm. My next stop was one that I was extremely excited about. 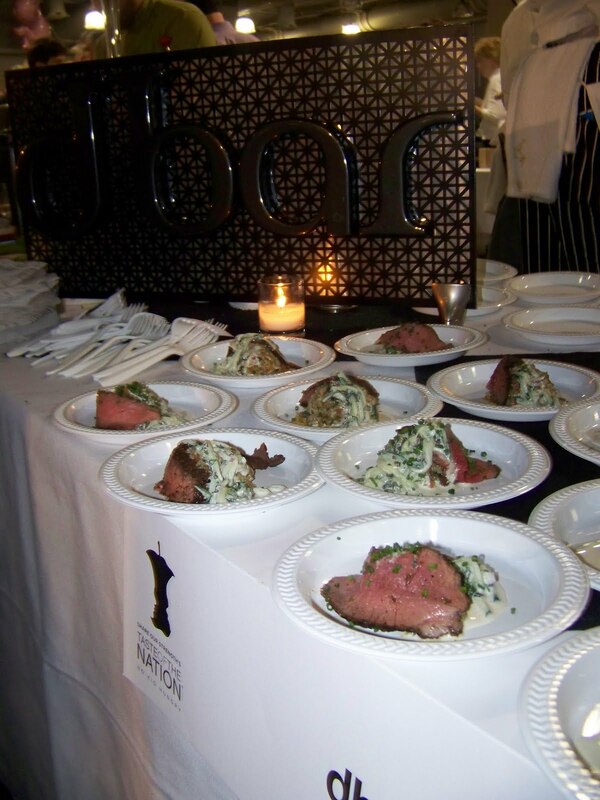 I had staked out the Dbar table early in the evening, and was excited to see that one of our latest local celebrity chefs Chris Coombs, Dbar's executive chef, was there manning the table. Chef Coombs appeared on the Food Network's show Chopped that aired earlier this week. He had taken second place in his competition, pitted against other talented chefs. As I had watched the episode I was intrigued by his cooking style, knowledge of different ingredients (extreme ones at that), and his creativity. His offering last night was a lamb dish with a tabbouleh like side. This was my favorite dish of the evening. The lamb was perfectly cooked to a gorgeous medium rare, with wonderful flavor, and the accompaniment was perfect- light and fresh, off setting the protein beautifully. I would like more of this dish....now. Thank you. I have decided that Chef Coombs was robbed on Chopped. Robbed. 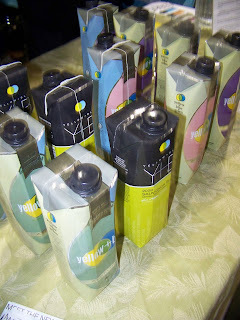 One of the vineyards that I was most intrigued by was Yellow + Blue wines. A green vineyard (get it- yellow and blue make green?? I had to have it explained to me) they are packaging their wines in what are called Tetra Packs- basically boxes that cuts down not only on waste, but on their carbon foot print. As it was explained to me- the box severely cuts the weight of the packaging, which means that they can ship more wine, which means fewer trucks. Less pollution. The concept is fantastic, and one that you would think more vineyards would be adopting. The wine stays fresh and delicious, and our environment does too. I hear a win win situation. 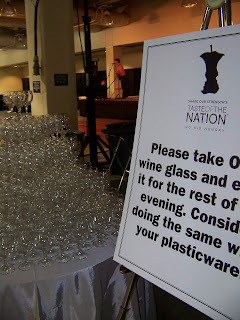 The food and wine industries commitment to going green was one of the facets that was most apparent last night, aside of course from their commitment to delicious and beautiful end products. Each purveyor that I spoke with talked about their commitment to sustainability, or cutting down their waste. We have moved beyond simply going local for our produce and meats. The industry seems to be taking a hard look at where exactly each item is coming from, and the beliefs of that company. Together the restaurants and purveyors work together to create a partnership that they can both be proud of, and a quality end result for the consumer. Its a great thing to observe. Taste of the Nation really was an incredible event with great emphasis on attention to detail. The silent auction included a huge variety of items from wine, to food, to Nespresso machines, even an autographed Cougar Town poster (won by a colleague of mine). The live music was perfect in the background, not intrusive but adding the relaxed vibe, and every person there was a joy to talk to. 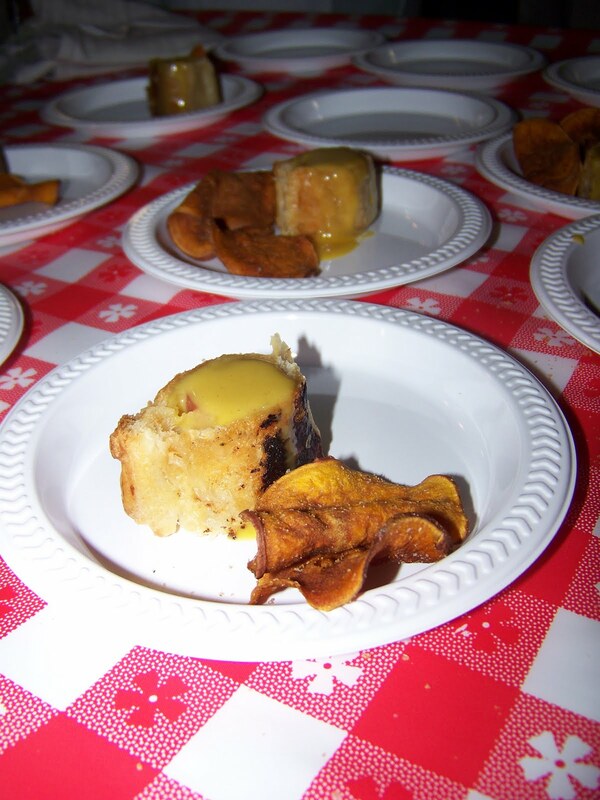 Taste of the Nation brings a very real plight of children around the world to light, gives assistance in a major way, and provides a more than enjoyable evening for food buffs everywhere. Kudos to the founders and staff of Share Our Strength! !